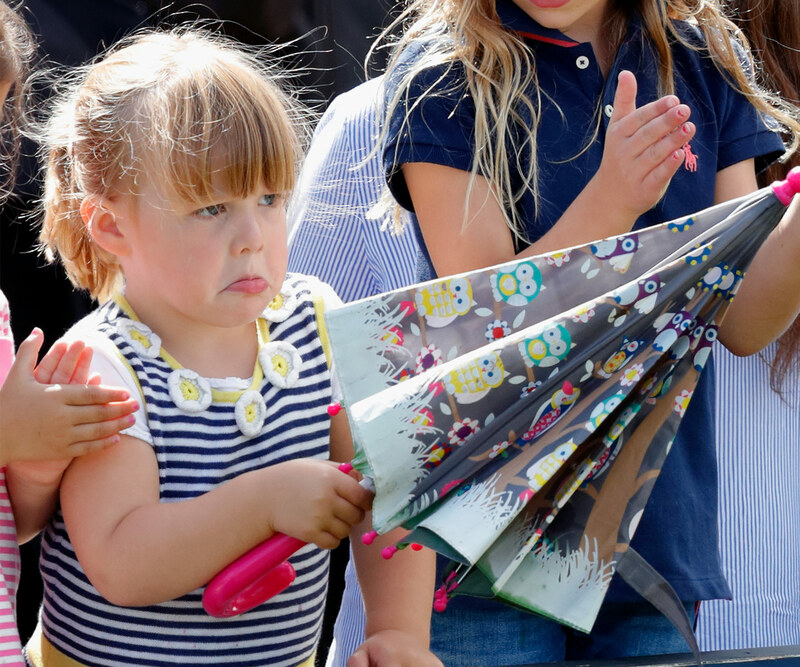 Mia Tindall is undoubtedly one of our favourite British Royal Family members of all time. The eldest daughter of Mike and Zara Tindall is just a ball of fun, constantly making her loved ones giggle with her funny antics. Whether she's running amok at the Polo or proudly holding on to Queen Elizabeth's handbag in official royal portraits, there's not much Princess Anne's granddaughter doesn't do in the name of (albeit inadvertently) giving us a cheeky laugh. Now, chuckles aside, this young royal is stacking up yet another achievement: Mia Tindall is set to start school in September. Reminder: Let's take a step back in time to 2017 when Prince George embarked on his very first day of school! Guess who's going to school! While speaking to Hello! about how he and his family enjoy holidaying, former rugby union player Mike also let slip that things are set to change with Mia's new milestone. "Since I retired, it's allowed us to do a little bit more but mainly around the Christmas time," he shared. "We do some work for the Magic Millions down in Australia so we managed to spend six weeks down there as our holiday – the last year before Mia goes to school so we won't be able to do it again, so that's what holiday time looks like now." He continued: "What it's going to look like when Mia goes to school, it's going to change probably again so we're going to have to figure it out." The proud dad explained while he and Zara have yet to pick a school, Mia will likely attend a place that is close to their home on Princess Anne's Gatcombe estate in Gloucestershire. Who can forget the time Mia took the Queen's handbag?! Mike talks about that moment in the video below. Story continues after this video. We hope the family release a photo of Mia's first day of school... Just like the Cambridges did with Prince George. Indeed, between chasing after an almost-five-year-old and trying to pick the right school for said-youngster, one thing is certain: the Tindall household is exceptionally busy right now. On top of taking care of Mia, Zara welcomed the couple's second child - a beautiful baby girl, who she and Mike named Lena - back in June. Lena Elizabeth Tindall was born on June 18 at Stroud Maternity Unit in Gloucestershire, and entered the world as a record-breaking bub; she was the heaviest royal baby in recent years, weighing in at 4.16kg (9lbs 3oz). The happy parents shared their special news through a Palace spokesperson, as well as detailing the decision behind their daughter's unique name. "The name is Lena Elizabeth. It was just a name they liked," the spokesperson stated. We think their youngest, who is in 19th in line to the British throne, has the perfect moniker: it's a wonderful mix of something unusual and something more traditional. 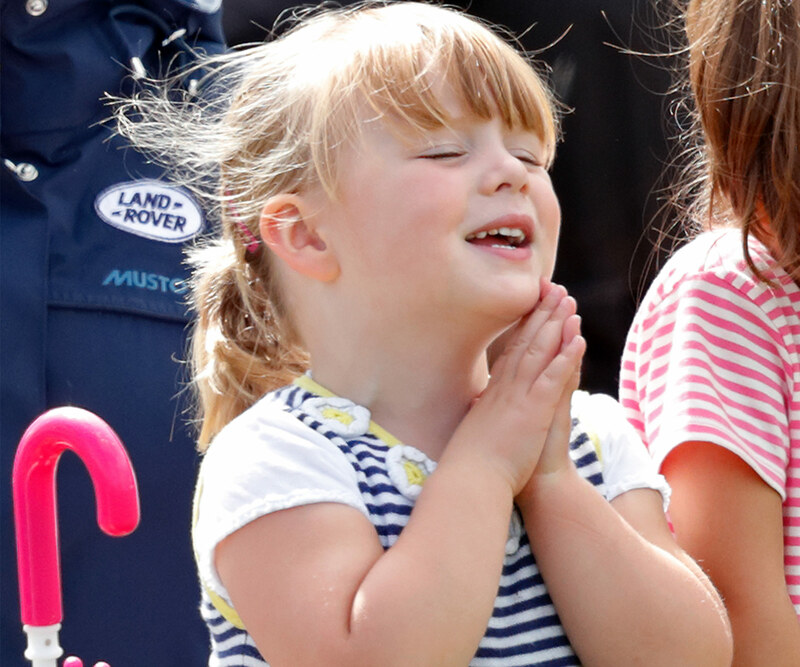 The princess of our hearts: Mia Tindall is a cheeky little queen!